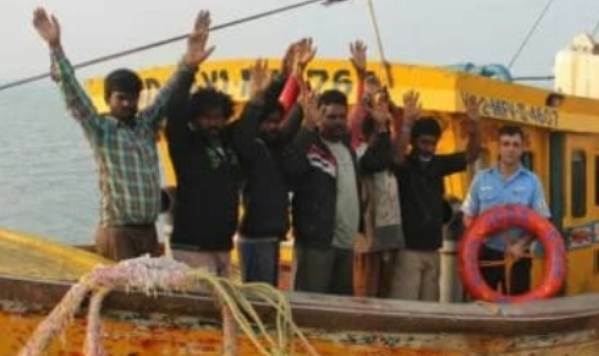 ONI Bureau: Seven fishermen, who were arrested by the Indian Coast Guard (ICG) for allegedly poaching endangered species of sharks in the prohibited area of Gahiramatha Marine Sanctuary in Kendrapara district, were sent to jail today. The fishermen, belongs to neighbouring Andhra Pradesh were booked under the provisions of the Wild Life (Protection) Act, 1972 for illegally fishing and poaching the marine species. Worth mentioning, the ICG officials on Monday seized an illegal fishing trawler carrying over 250 endangered dead baby sharks, each weighing around 35 to 45 kilograms.